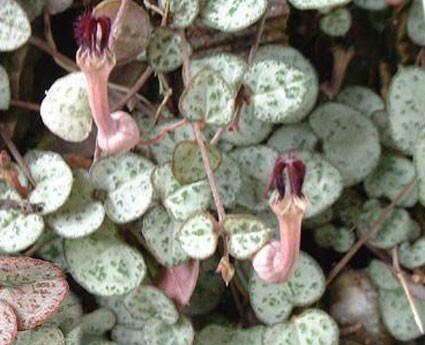 "Rosary Vine" or "String of Hearts" Thread-like vine with large "rosary bead" tubercles and small pairs of heart-leaves designed with bright silver surfaces. 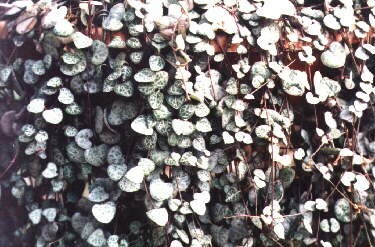 Dependable tried and true houseplant unless you overwater! 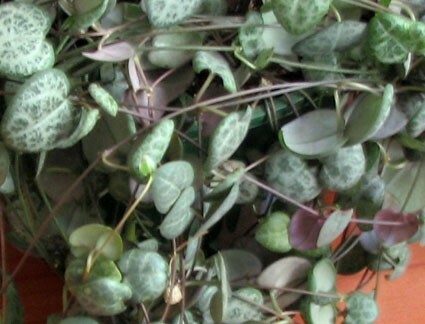 These are usually sent as one or two starter strands, with a below surface tuber, not a full pot.